Tom and Katie are newlyweds hunting for their first home. After weeks of poring through listings, they eventually come across the house of their dreams, and it’s exactly within their price range! They tour the home and fall even deeper in love with it, and quickly tell the realtor they’re ready to make an offer. But while Tom and Katie’s dream house was exactly within their price range, they hadn’t given much thought to some of the other costs that come along with buying a house (more on these below). As a result, the couple had to back out and continue saving. While Tom and Katie’s story is fictional, any first-time homebuyer can easily find themselves in the same situation if they don’t consider the all the costs of buying a house when evaluating their budget. To prevent Tom and Katie’s story from becoming a reality for you, and to help give you a bit more sense of what to expect before you start searching for homes, we’re uncovering some of the hidden costs you might discover along your journey to homeownership. When we say hidden costs, it doesn’t mean they are difficult to find or buried under fine print—but rather, they’re the associated costs that people often overlook during the home buying process. Earnest money deposits (EMDs) are made to a seller as a way to show the buyer’s good faith in purchasing a home, and is often a percentage of the listing price. An EMD is typically held jointly by the seller and buyer in a trust or escrow account. While an EMD is essentially like paying part of your down payment early, you should be prepared to have these funds ready and available as soon as your offer is submitted. While this a relatively insignificant cost in the home buying process, home inspections are rarely taken into account and can total anywhere between $300-500 on average depending on the inspector you choose and the tests they perform. But the investment is well worth it! Failure to secure a proper home inspection could mean spending several thousand dollars fixing a dilapidated house… or worse, failing to secure a mortgage. An appraisal is necessary to secure a mortgage, and typically paid for by the buyer. Since the home will be used as collateral for the loan, an appraisal of the property will be needed to determine its market value and ensure the value of the home supports the loan amount. The appraisal fee usually costs between $400 and $600, and is typically paid prior to closing. You can learn more about the appraisal process here. You may think property taxes are not a hidden cost, but many people forget they need to prepay the first year at closing. Depending on the size and location of your new home, these taxes could end up in the several thousand-dollar range. Homeowner’s insurance is also a critical cost to account for.The good news is that estimating these expenses is relatively simple. Most property listings will include an annual property tax estimate, and you can ask your lender to provide you with an approximate homeowner’s insurance cost based on the types of homes you’re looking at. While this is purely an estimate, it will give you a better sense of how the cost of homeowner’s insurance will affect your monthly mortgage payment.After all, both property taxes and homeowner’s insurance are rolled into your monthly mortgage payment through an escrow account. Click here to learn more about the different components that make up your mortgage payment. If this is your first house, chances are you don’t have enough furniture to fill it. That, and you’ll probably want to make a few updates to make the house feel more like home. Taking into account all the rooms you’ll want to remodel, this could end up being one of the costlier investments you’ll face in the home buying process.Depending on the extent of home improvements you’re looking to make, a 203(k) home improvement loan could be a strong option to consider. Learn how you can use a 203(k) loan to roll the costs of home improvements into your mortgage loan. Closing costs can cause confusion for even the savviest homebuyers. These fees, which as you may have guessed, are collected at closing and typically range anywhere between 1 to 7% of the purchase price depending on your location, agent and lender.Here at Ross Mortgage, we believe every customer has the right to know exactly what is expected of him or her on closing day so they can come to the table with confidence. As such, we provide our customers with an estimated cash-to-close worksheet at the beginning of the mortgage process that clearly outlines the costs associated with closing, as well as a Loan Estimate at formal application that also lists the fees and costs associated with the loan. You can learn more about closing costs here.Another closing cost home buyers should be aware of are the real estate transaction fees, which are charged by the buyer’s real estate agent and can range anywhere from $0 to $595. Unless you rent a cheap truck and coerce a few friends with pizza and drinks, you’re going to need a moving company to get all your possessions in your new house. Since this is something you want done right, moving can cost a pretty penny, so be sure to set aside some cash for when the time comes.Now the good news: If you’re house hunting on an extreme budget, there are options! You can use gift money (as long as you properly document the source of the funds) and seller concessions to ease the cost of homeownership. There are also several low-down payment loans available. Need help boosting your down payment fund? Here are 15 ways you can start saving for a mortgage today. 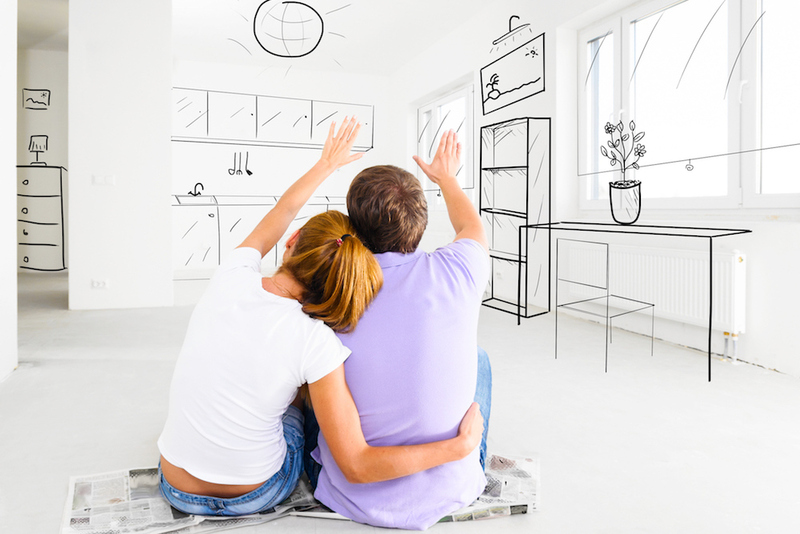 Are you a first-time homebuyer with questions about the home buying process? Send us a message! We’ll connect you with a member of our lending team who can help answer your questions and set you up for a smooth and successful home buying experience.